The following is a brief account of an exchange that happened on that floor of the Iowa State Senate last week. The comment made may have been only a passing thing, but it was pleasing to see how vocally and quickly everyone rushed to the defense of the LDS State Senator (see video below). Chapman is a member of the Church of Jesus Christ of Latter-Day Saints and spent two years as a missionary to Norway. McCoy was booed and point of order was called. I suppose I might have used a different headline, something to the effect that a Mormon state senator in the state of Iowa was defended by the Senate President. 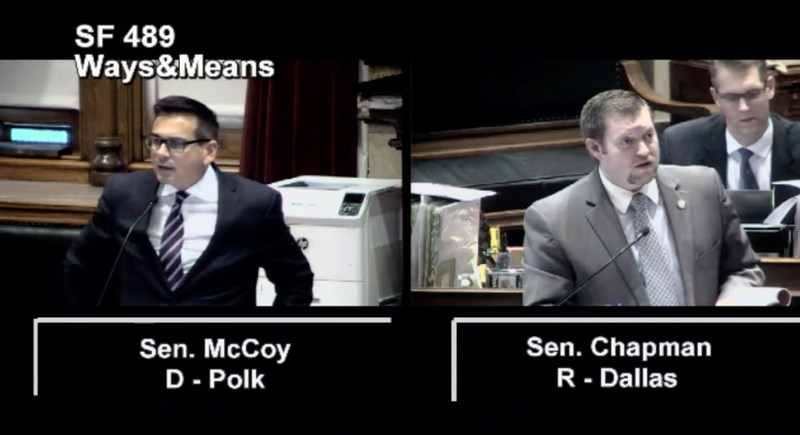 From the video, it doesn't appear sen. McCoy had an attitude of contempt in is errant remark. I hope we LDS are not being thin-skinned on this one. Heck, there were considerable pyrotechnics in 3 Nephi 8.